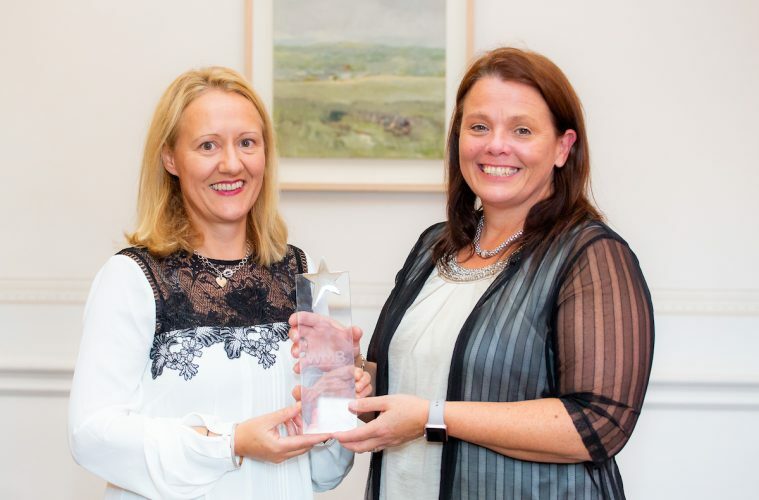 TestReach company co-founders, Sheena Bailey and Louella Morton, have jointly won the ’WMB Woman in Technology 2018 Award’, which was presented to them at the ‘Women Mean Business’ Conference and Awards held in Dublin. The WMB Woman in Technology Award aims to recognise the most talented women working in technology companies today. The judges recognised the contribution TestReach’s co-founders have made in not only developing innovative new technology but also their strong business performance. Sheena Bailey and Louella Morton established TestReach in response to the massive increase in demand for qualifications globally, a demand that cannot be met by running exams in a traditional manner. “While there have been huge advancements in the options to scale learning, such as e-learning and virtual classrooms, very little has changed with how exams are run. Candidates still have to go to exam halls and sit exams via paper with essays and multiple choice questions. We set out to change that. The ability to run an exam anywhere, at any time, and have it professionally invigilated over the web by trained supervisors is ground breaking,” said Sheena Bailey, CEO, TestReach. While online assessment is not new, what is unique about TestReach is that it is a single application to create exams and run them using various delivery methods, including remote invigilation over the web. So a candidate can take an exam anywhere and be invigilated over the web by a trained TestReach supervisor, who monitors them continuously using audio, video and remote screen share, to ensure the integrity of the process. This gives flexibility to both candidates and the organisations running exams – who no longer have to source test centres and in-person invigilators. Next ArticleGuest Post: SID Limited’s Strategic Value Addition Partnerships with Sent and URAllowance.